Kandy, Sri Lanka -- The Buddha once asked a horse trainer named Kasi (Anguttara Nikaya 4.111) how he trained a tamable horse and the man replied, that he sometimes used gentleness, sometimes harshness, and sometimes a combination of the two. The Buddha further asked him what he would do if the horse refused to submit to any of his methods and he replied that he would kill the beast because otherwise it would be a disgrace for him as a trainer. In using gentleness and harshness, the Buddha averred that he used a combination of all of those. Kasi, naturally, had a further question, viz. 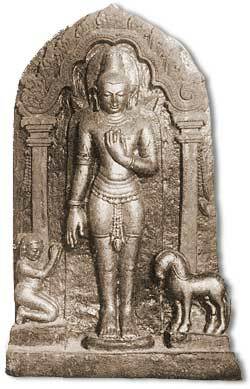 he wanted to know what the Buddha did if a person did not submit to his training. The Buddha answered, “If a tamable person does not submit either to a mild training or to a harsh training or to a mild and harsh training, then I kill him, Kesi." Shocked, the horse trainer said, "But it's not proper for our Blessed One to take life! And yet the Blessed One just said, 'I kill him, Kesi.'" "It is true, Kasi, that it's not proper for a Tathagata to take life. But if a tamable person does not submit, then the Tathagata does not regard him as being worth speaking to or admonishing. His knowledgeable fellows in the holy life do not regard him as being worth speaking to or admonishing. This is what it means to be totally destroyed in the Doctrine and Discipline, when the Tathagata does not regard one as being worth speaking to or admonishing, and one's knowledgeable fellows in the holy life do not regard one as being worth speaking to or admonishing." Isn’t this what the monks of Burma are doing when they overturn the bowl to the intractable, brutal military rulers of their country? Isn’t this the non-violent way to compassionately confront and “kill” those in the military who are willing to beat, to torture, and to kill innocent monks and nuns, by refusing to have anything to do with them?